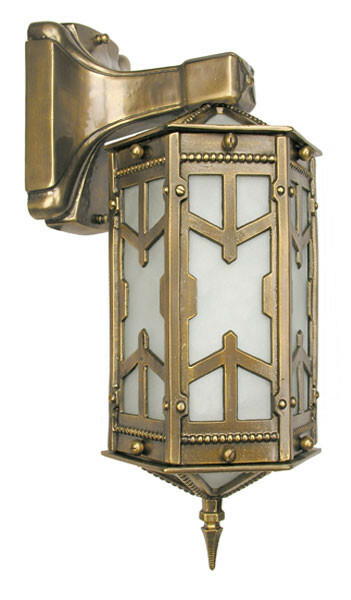 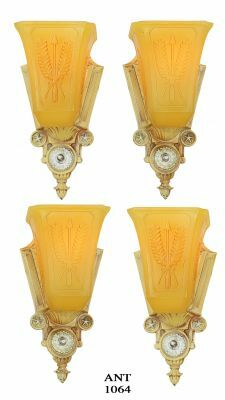 Our San Simeon porch light has classic late Arts & Crafts lines. 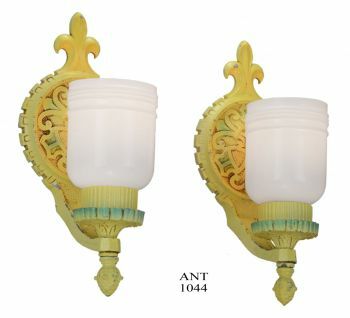 Terrific not only with Arts & Crafts, but Mission, Gothic, Tudor, Victorian, and other styles as well. 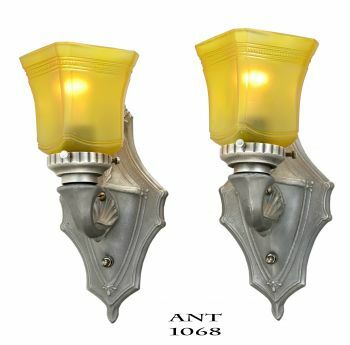 Rated for damp locations, so it can be used on your covered porch. 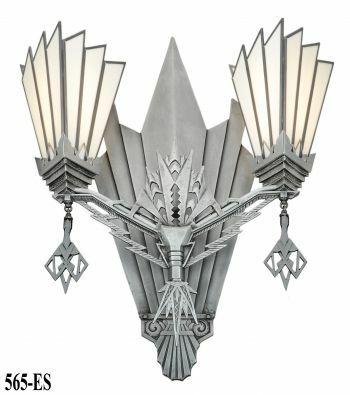 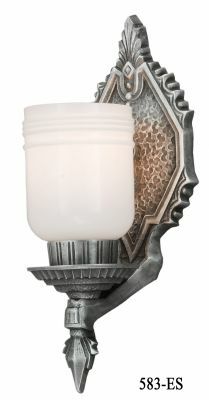 Super as a wall light with personality, too. 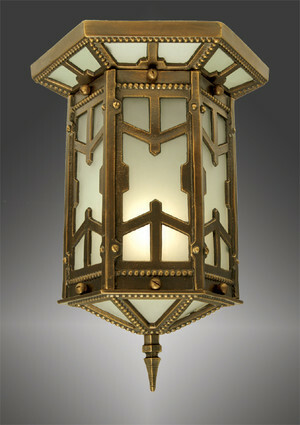 Imagine this light on the staircase down to your wine cellar. 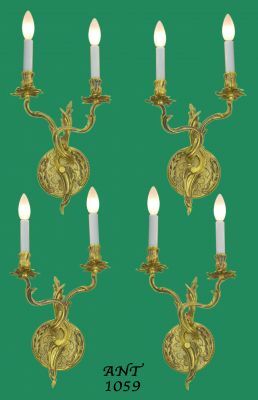 Lost wax cast in solid brass for great quality and detail. 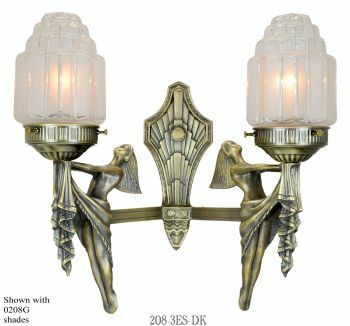 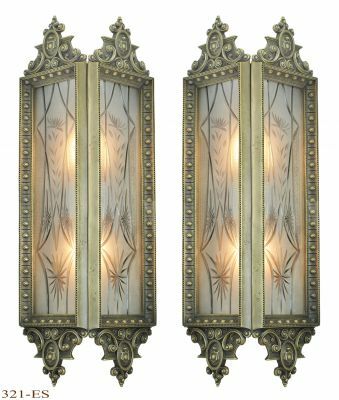 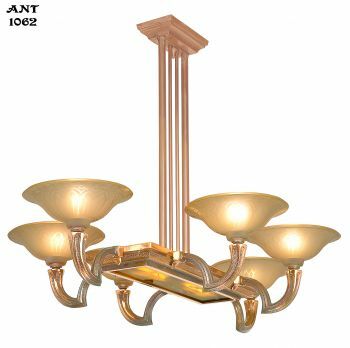 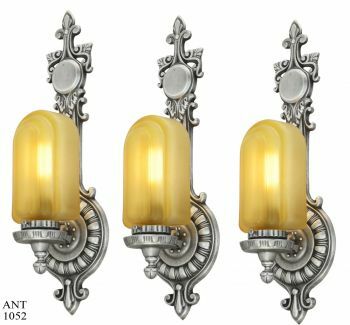 Shown in our hand-applied Antique Brass Finish, which is the standard finish for this series. 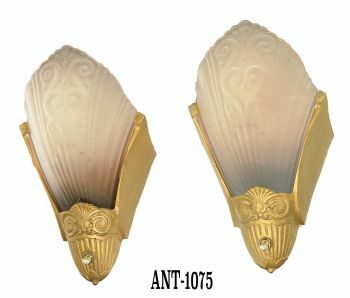 Finish is lacquered for protection. The frosted white glass panels are included. 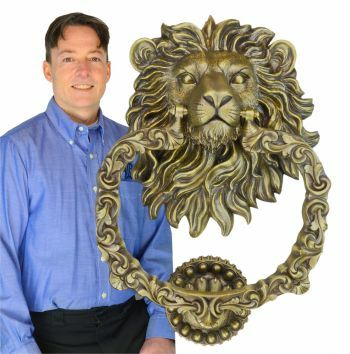 Backplate: 6 ¼" tall x 4 ½" wide. 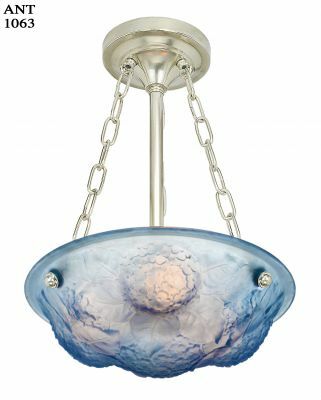 Light Chamber: 10 ½" tall x 5 ¾" diameter. 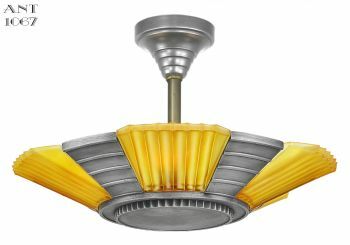 Wattage: One socket, capable of a light bulb up to 100 watts. 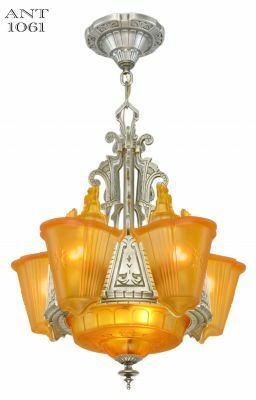 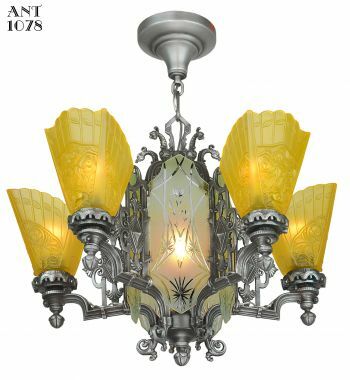 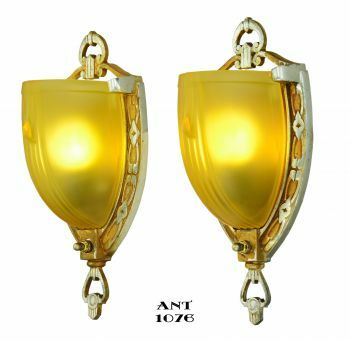 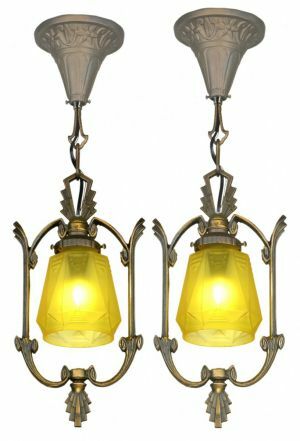 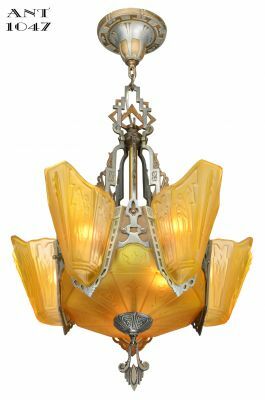 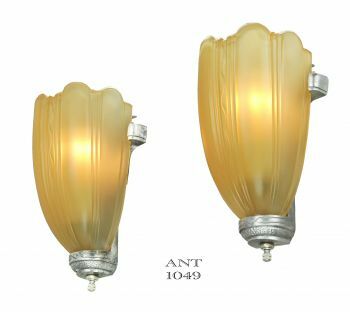 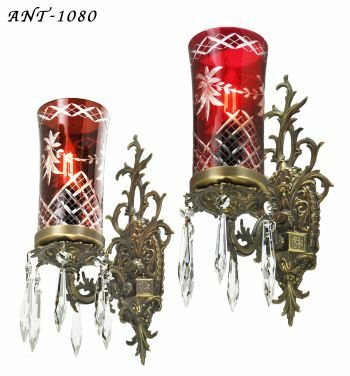 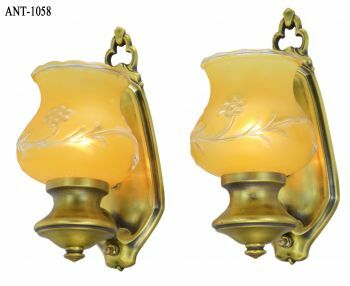 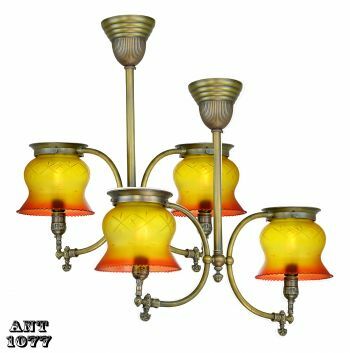 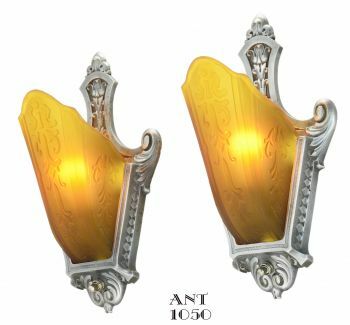 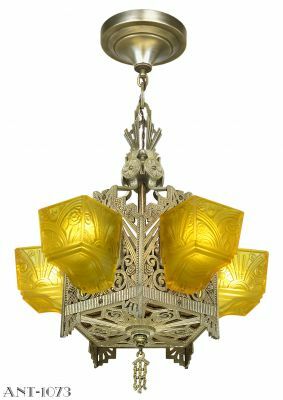 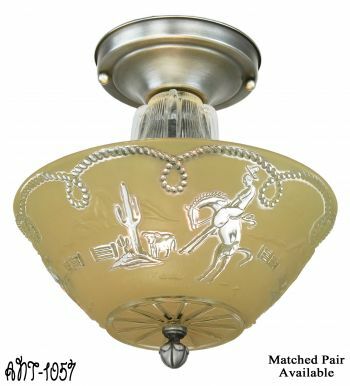 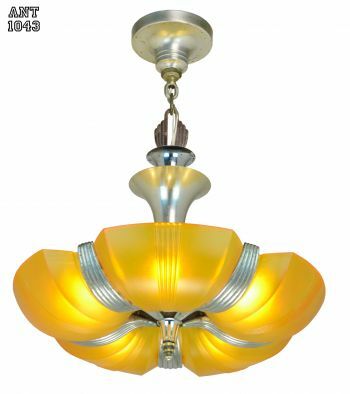 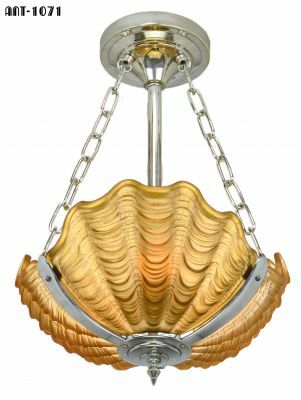 Look for our matching San Simeon Flush Mount Ceiling Light and San Simeon Hanging Pendant Light.